Between March 2010 and October 2011, I interviewed 57 fantastic crime, mystery and thriller authors for the 9mm series here on Crime Watch. It was amazing to see how the series, which started as a random little idea, really grew and grew over the months. I was blown away by the calibre of authors - from rising stars to big name bestsellers - who generously gave of their time to answer the same nine questions. Over the course of the 19 months the series ran, I have had a lot of fun asking the questions of the authors, and seeing how some of the answers compare (eg the favourite detectives, books they loved as a kid), as well as finding out some really intriguing things in relation to fun things to do in authors' hometowns, and the strange or memorable moments from their life on tour, etc. Hopefully you've enjoyed the series as much as I have. 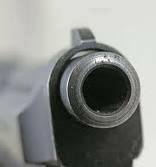 Particularly, as here in 2012 I've decided to resurrect 9mm, and build up the remarkable line-up of crime, mystery, and thriller writers even more. 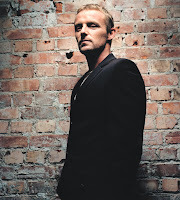 To kickstart things for the new year, here is my recent 9mm interview with Norwegian crime writing superstar Jo Nesbø, who's latest Harry Hole book, PHANTOM, has just been released in English, and who will be touring New Zealand next month (see details here). [Doesn’t read a lot of crime fiction]... I’m more like a one-book reader, I try to sort of find out what the others are doing, but I haven’t got into any series, just a book here and a book there. I was more like a freelance journalist. I didn’t do journalism, I did interviews really, long interviews with people now and then when I had the time. I really enjoyed that, and it was a good school for a writer I think. Apart from that I had been writing mainly lyrics for my band, and I’d written short stories – not to have them published, but just for my own – I enjoy writing. I guess I had a go at a novel once; I didn’t plan to write a novel, but I just started writing something, but I never finished it. So, my first serious attempt at a novel was actually THE BAT MAN [the first Harry Hole novel, not yet translated into English]. Rock climbing... also, playing with my band and my friends used to be a job, but nowadays it feels more like a hobby or, you know, something that I would do for free. So I guess music and rock climbing. 5. What is one thing that visitors to your hometown should do, that isn't a really famous thing in the tourist brochures, or perhaps they wouldn’t initially consider? In the town of Oslo? Okay, let me think... last summer, I went biking with a couple of friends, we biked for like 15 minutes and then we were in the woods, and there was a small pond there, and we went swimming there, bare naked, you know, four guys. And I live in downtown Oslo, and we’d been biking, literally from my house for I’d say 25 minutes, and we were in a lake – and this is in a capital of Europe – and we were in a lake, swimming. And I just love that about Oslo. One of the guys were, by the way, the Prime Minister of Norway. Playing me? Oh, ah, let me think. That’s a hard one. You know there’s a betting site, called Unabet, and you can now bet on who is going to play Harry Hole in the forthcoming movie The Snowman, and you know the favourite I think is still Leonardo DiCaprio... and you get like five times your money if he is played by Leonardo DiCaprio, but there is one guy that you should probably put your money on, not because it’s likely that he’s going to play Harry, but it gives you five hundred times the money, and that’s me. So I guess since I am on that list [of potential actors], I will suggest that I will play me. I think I can answer that, because – and I don’t know whether it’s my favourite either, but it’s my most personal book – and that is probably THE REDBREAST. It was also a book where after the first two books, THE BAT MAN and COCKROACHES, I sort of raised the bar a little bit. It was a very ambitious book, and it is also the book that my father had planned to write, because it’s based on his experiences during World War Two where he fought for the Germans against the Russians outside Leningrad, so it’s so much family history in that book. Also, my mother was also in the resistance movement in Norway, so my mother and my father during the war, they were like 18, 19, so they didn’t know each other at that time, but they were on opposite sides during the war. And a lot of that is in the book – those stories about people making their choices during World War Two, and how it reflects on your life later and at present. So I think that is my breakthrough ... although I received prizes for my first book, I didn’t reach a broad audience until that book, THE REDBREAST. But most importantly it was a very personal book, where I had all this material that I wanted to use at one time or another, and this was the perfect moment. I was working as a stockbroker at the time, and I was playing with my band... I was at work when they phoned me, and I just went outside, I got on my bike, and I just biked to the big plaza in front of the city hall, and I just yelled a little bit, I remember. And then I biked back, and started working again. When I first saw the book – I know for many writers it’s a big kick to see the book, to see the cover, and see their work is really in the form of a book – but I guess I had been through that a couple of times with my band’s records. It was nice to see the book, but it wasn’t like ... everyone at the publishing house was like ‘okay, we are going to send the book to you now’ ... and I sort of had to disappoint them, because I was like ‘yeah, that’s great, but can it wait because I’m sort of a bit busy now, if you send the book next week, that’ll be fine’. It wasn’t like I was pretending to be cool about it – it was nice to see the book, but it wasn’t the most important thing to see the physical evidence that I had written a book. Two years ago I went to the Philippines and I was in Manila and I was in a big bookstore buying some books there. And when I came to the counter I saw, I think it was THE REDBREAST, it was on the shelves behind the counter, and I was surprised about my books being there in Manila, so I told the woman behind the counter, ‘I wrote that book, it’s my book’; and she said ‘okay, just one moment, I’ll get the manager’, and I said ‘no, no, I just wanted to tell you that I’d written that book’, and she said ‘no, no, I’ll go get the manager’. And she ran off, and I was a bit embarrassed because there was a long queue behind me and they were looking, ‘what’s going on, why is she leaving?’. But then she came back with the manager, and I was still holding this big pile of books that I was buying. And she says, ‘okay, so you are the writer of this book, can I see some ID please?’, and I said I had left my passport at the hotel so I didn’t have any ID, so she said ‘if you don’t have any evidence that you are the writer then I can’t give you a writer’s discount for the books you’re buying’. [Craig and Jo both chuckling] I wasn’t saying it to get a discount, I was just wanting to tell you, and maybe you wanted to get the books signed. And then she discusses it with the other woman again and then she turned to me, ‘okay, if you bring ID tomorrow, you can sign one book’. I just took my books and left. 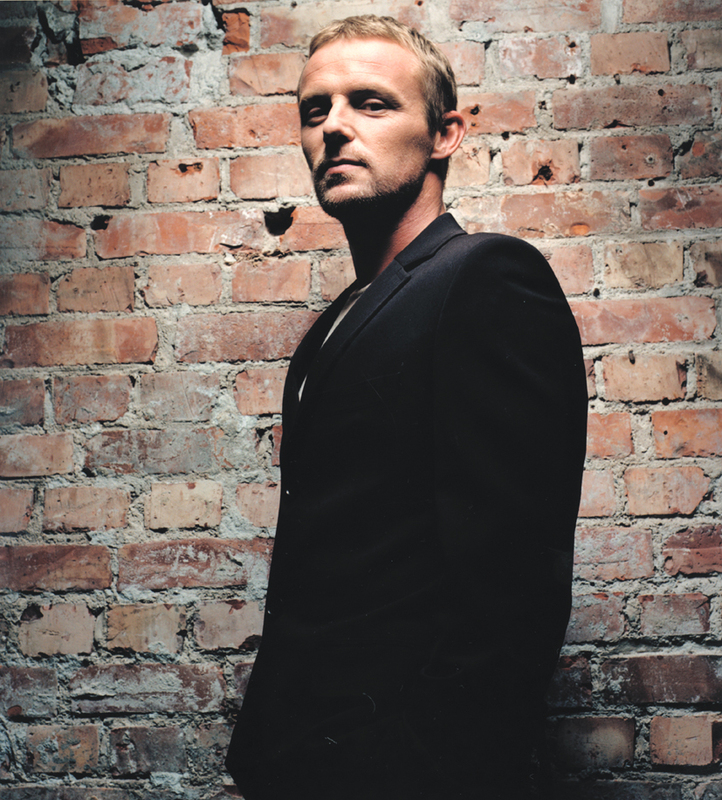 Have you read any of Jo Nesbø's crime novels? If so, what do you think? What is your favourite thing to do in Oslo? Who could you see playing Jo (or Harry) in a movie? 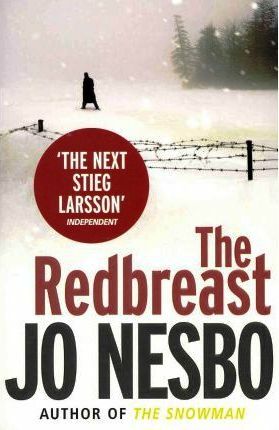 Which is your favourite Nesbø book? I think I have read all of Jo's books that have been translated into English except PHANTOM, and am looking forward to hearing him speak at Adelaide Writers Week. I am leading the discussion on Headhunters on 4Mystery Addicts later this month. I'd love to use info from this interview in the intro to the discussion. Is that possible? Hah, that book store story is so funny!